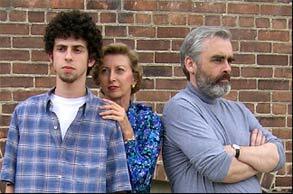 William Nicholson’s 2003 Tony-nominated drama of family relationships How do we know the people we marry? When is it time to be honest? This moving play is a study of both a couple, whose thirty-three year old marriage is crumbling, and their only son, who is caught in the middle of their conflict. John Boonin, Erica Dutton and Tim Grimes are featured in this production directed by Loretta Grimes. This drama, which originated in a theater just blocks from Ground Zero, takes place days after the catastrophe. Khurum Sheikh is the fire captain who lost most of his men at the World Trade Center and Dayna Woodhams is the editor who assists him with their eulogies in this important and moving drama, directed by Erica Dutton. Kerrytown Concert House is located at 415 North Fourth Avenue in Ann Arbor. Reservations may be made by contacting the concert house through their website at kerrytownconcerthouse.com or by calling 734-769-2999.